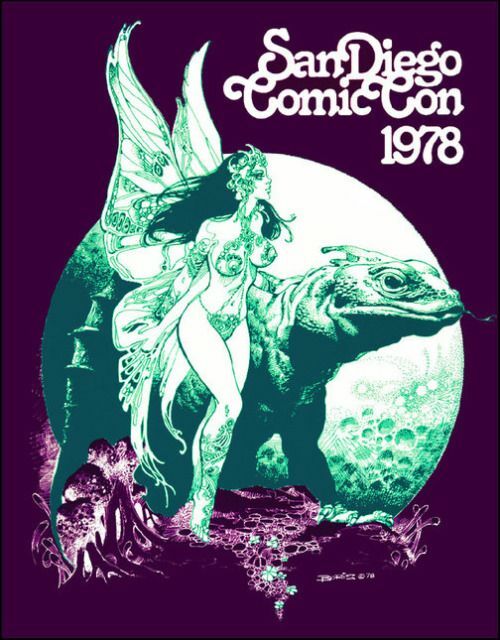 Comic-Con Guide: Comic-Con museum at Balboa Park? Why not. Comic-Con museum at Balboa Park? Why not. Well, I guess we have to stay in San Diego now; CCI wants to install a Comic-Con museum at Balboa Park. This would be in the San Diego Hall of Champions, which has apparently considered subleasing some or all of its location. Enter CCI, spotting an opportunity to make Comic-Con live year round. It's not final yet by any means, but CCI sounds pretty stoked: David Glanzer said "Comic-Con has been working with the Hall of Champions as part of our continuing exploration of how best to ensure Comic-Con's legacy. Ar this time we are in talks and while no decision has been made, we are thrilled with the direction of those discussion." That made me stop and think about if I've ever heard CCI use the word "thrilled." And that made me realize how many annoying battles they fight (granted, some are self-initiated, like the SLCC lawsuit) like the people against the contiguous expansion, or their negotiations with local hotels, or the group who slyly implied they were associated with CCI to promote their petition this winter. It's not like they ever get to settle back and just focus on the event itself. Anyhow, this museum idea is still up in the air but I think we can agree it has compelling potential. I love SDCC history and give the drama of Con stories and the beauty of Comic-Con art, this museum could be masterful. But as with everything Con, it probably won't manifest for a while. Valerie I still have not got email on hotel waiting list. SDCC says watch my email for 10 days. Does this mean I wasn't chosen? At least they should send email stating that I didn't get a room right? It doesn't mean that. This is a slow process. They said originally to watch for 10 business (week) days. We just went through another batch of emails in which I was included, and I was very high up. So you may still be chosen. I know it's so painful to wait. Depending on where you were in line, you may still get an email.